Their guide parcels out information, mile-marker by mile-marker (in boldface), in a way that’s equally accessible to westbound and eastbound users alike. In this second edition the authors have updated the information throughout, including new sites and new stories. 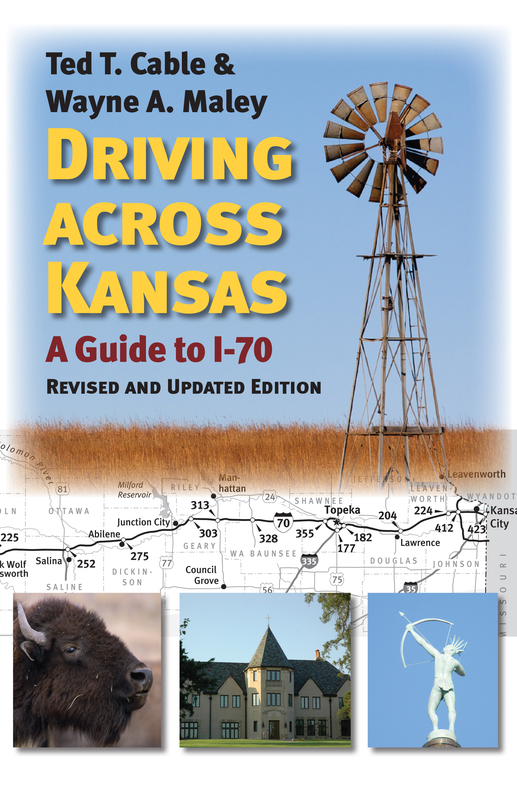 Driving across Kansas, 2nd edition will reward the observant traveler with a treasure trove of details sure to increase his or her appreciation for the great Sunflower State. Ted T. Cable is a professor of Park Management and Conservation at Kansas State University and a fellow of the National Association for Interpretation. A designer of several nature parks and preserves, he has published widely on natural resource management and environmental interpretation. He is the coauthor of Driving Across Missouri (Kansas). Wayne Maley is the retired director of special projects for the American Society of Agricultural Engineers and the author of A Companion’s Guide for Travelling I-80: Iowa Really Isnt Boring.